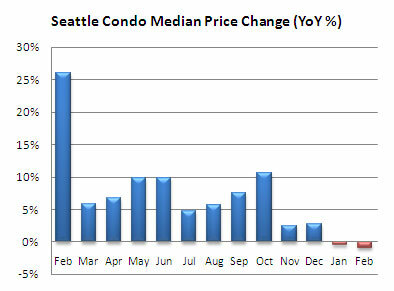 February performance results expressed the buoyancy of Seattle’s condo market. As we’d expect moving towards Spring the market is beginning to pickup with increases in the number of sales, closings and median price. Compared to January there was a 20.7% increase in the number of properties going under contract (pendings), a sign of buyer’s confidence in the market. 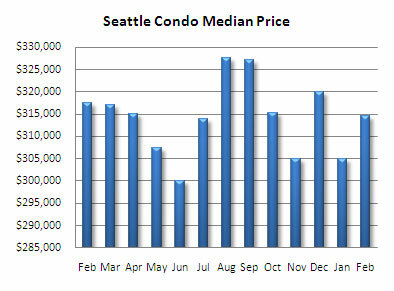 As a result, the median price showed an upward movement of 3.1% over January to $314,500. Looking at year over year figures we get a different picture. In comparison to the same period last year, the market reflected a slight decrease in citywide median price by .9%, the second consecutive month that YoY median price decreased. 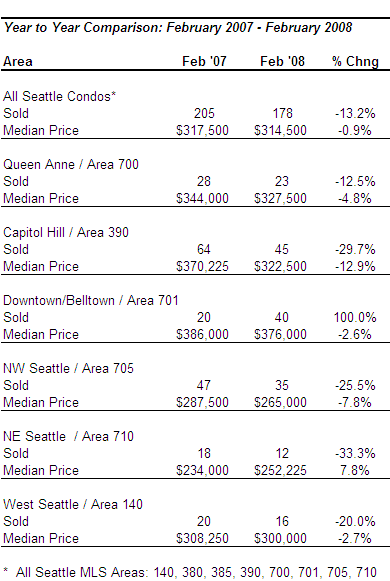 Most areas of the city underperformed compared to last year’s figures as well. 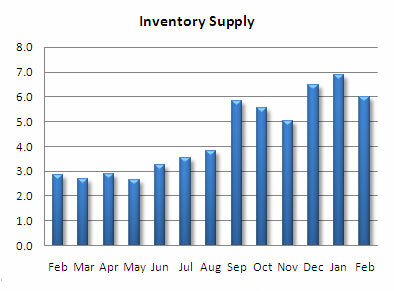 The inventory supply, or absorption rate, dropped to 6 months in February. 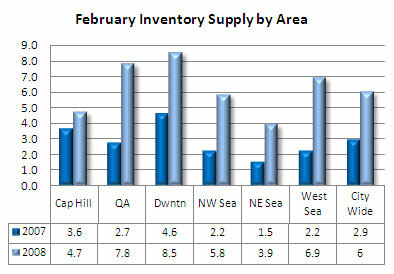 As buying activity continues to heat up the absorption rate should stabilize. If supply can be sustained below 6 months the market will reflect normal conditions. There are some good news on the mortgage front to help buyers. While many programs have vanished there’s been some positive actions. Within the next week we should hear the new loan limits for Washington. Early estimates indicate King County may increase from $417,000 to just under $500,000 for conventional and FHA loans. 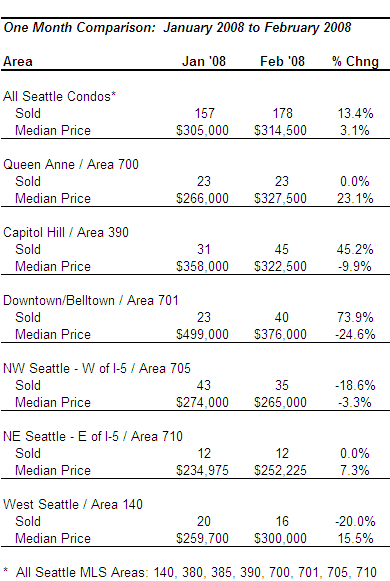 HUD released the new loan limits today (3/6) with King County increasing from $417,000 to $567,500. The biggest beneficiaries will likely be first-time buyers utilizing low-down payment FHA-guaranteed loans. Additionally, a U.S. District Court in California recently ruled against a HUD ban on down payment assistance programs. 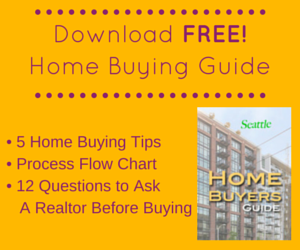 The programs, such as Nehemiah, gifts qualified buyers the down payment from funds they receive from sellers. 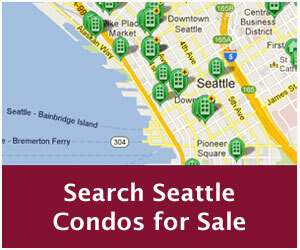 With a willing seller, it provides an opportunity for low-asset buyers to purchase a home. You can’t seriously expect your readers to believe that a month-month change, with no seasonal adjustment, is “a sign of buyer’s confidence.” January is always a slow month. As you reluctantly admit, the appropriate comparison is with the same month in previous years and that comparison shows major indicators moving against you. And if it’s a verb, “pick up” is two separate words. I agree that YoY data is more reliable. Though, I believe it does show a sign of confidence as February reflected the first significant MoM increase in pending volume after a downward trend last year. 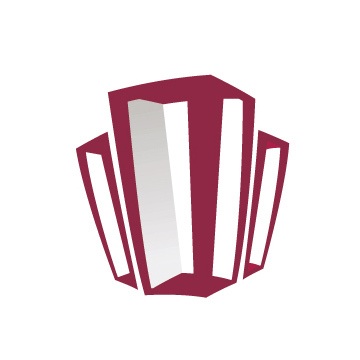 Considering the mortgage fallout and elimination of loan programs, more restrictive mortgage qualifications, continued uncertainty about the economy and rising interest rates, it is a sign of confidence that people are investing in real estate. 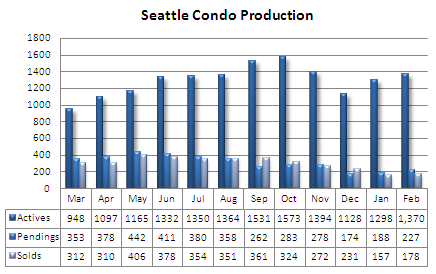 Looking at the same period last year, during a strong condo market, there was only a 16.3% increase in pendings from January to February. The market wasn’t dealing with mortgage issues or economic woes back then. Reluctant. Really? I thought I was rather forthcoming with this information.